Mr. Berg represents financial services companies and other clients in complex commercial litigation and class action defense, and routinely counsels clients on complex regulatory and enforcement matters. Mr. Berg is also a frequent speaker for leading industry trade associations on consumer finance litigation issues and regulatory developments. 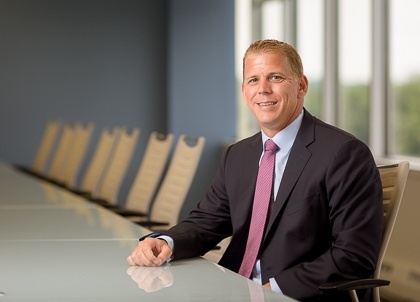 Mr. Berg has become a leader in managing large portfolios for national banks and mortgage servicers – with a focus on risk, root cause analysis, forecasting and reporting. For both portfolio management and individual cases, Mr. Berg takes a client-first approach to understanding the client’s needs, determining the size and scope of the issues, and implementing a cost-effective strategy for resolution. He has handled litigation matters and class actions involving business disputes, core and default loan servicing issues, False Claims Act, Fair Credit Reporting Act, Fair Debt Collections Practices Act, Servicemembers Civil Relief Act (“SCRA”), Telephone Consumer Protection Act (“TCPA”), bankruptcy, and mortgage insurance and repurchase issues relating to mortgage-backed securities and the GSEs (Fannie Mae and Freddie Mac). In addition to litigation and portfolio management, Mr. Berg also maintains an active enforcement and internal investigation practice. He has successfully defended and negotiated resolutions of matters initiated by the Department of Justice, the Federal Deposit Insurance Corporation, the Consumer Financial Protection Bureau, the Office of the Comptroller of the Currency, the Office of Inspector General, and states’ attorneys general. He advises clients in connection with supervisory examination issues and represents clients in connection with subpoenas, civil investigative demands, and letter inquiries issued by state and federal regulators. Mr. Berg is an industry leader in advising clients on compliance issues involving the SCRA, TCPA, and other state and federal consumer protection laws. Prior to joining the Firm, Mr. Berg served as in-house counsel at JPMorgan Chase Bank, NA wherein he managed mortgage-related litigation, class actions and multi-district litigation. In addition, Mr. Berg was also involved in numerous investigations and enforcement decisions initiated by the Department of Justice, HUD and various states' attorneys general since the financial crisis.